CT shows areas of ground-glass and septal thickening in lobar and lobular distribution. This adult male patient was diagnosed with H1N1 influenza strain. 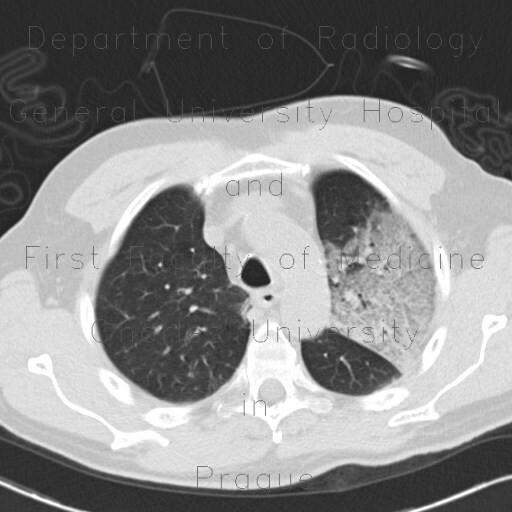 Ten months after, he underwent follow-up HRCT showing fibrous bands and residual areas of consolidation in subpleural region.